We are family lawyers with expertise in a full range of family legal matters including divorce in the UK and internationally, complex financial issues, property settlements and children’s matters. Whatever your situation, we are here to help you. Brookman Solicitors is ranked by the Legal 500 and has been awarded the Law Society’s quality mark, Lexcel. Legal 500 recently recommended Brookman and their exemplary work, commenting that “the ‘fantastic’ Brookman Solicitors regularly advises on significant multiple prenuptial agreements and multiple leave-to-remove matters”. Brookman serves clients across England and Wales and internationally and we have easily accessible offices in central in London. At the start of a separation, the situation may seem overwhelming. Brookman Solicitors are here to support and guide you through the process so that your situation can be solved with a fair outcome. The legal system is also designed to ensure fairness for all parties involved and having a good lawyer is an essential starting point. If your partner will not reach an agreement, the legal process will impose an answer. We always hope that matters can be resolved by negotiation and in the majority of cases, this is true. However, if not, we have a strong record in court litigation as well. Divorce can be a stressful time but whatever the problem is, having a good divorce lawyer helping you can make all the difference. You will find brief overviews and background information for our team members below. 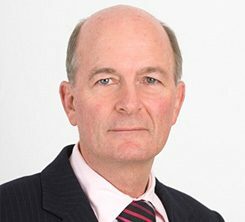 Henry Brookman is the founding Partner of Brookman Solicitors, described by The Legal 500 as ‘shrewd, savvy, sagacious, highly experienced’ and having ‘a real commercial eye’. He is both English and Australian qualified, and has practised in both jurisdictions for a considerable period of time. He has been a qualified solicitor for over 45 years and has a full range of experience, not only in family law matters, but also other areas of law such as Company Commercial, mining, industrial and family businesses, and complex trusts. This wide experience allows Henry to give advice from a position which is not only commercially astute, but takes into account tax and other international dimensions. For nearly 20 years, Henry has practised exclusively in England as an international family law specialist. With his enormous experience, Henry directs the handling of all cases in the firm. Depending on their complexity, he will be personally involved to provide strategic and tactical advice. Talitha is a Partner in the firm and a very experienced practitioner. She has been exclusively practising family law for over 10 years and is a recognised expert in her field. Talitha was recently recommended by the Legal 500 and was the winner of the Lawyer Monthly Women in Law Award 2018. Since then Talitha has also been invited to provide legal opinion on the BBC. Talitha has an established track record of attaining excellent financial settlements for clients including working on a variety of complex cases for high net worth individuals. 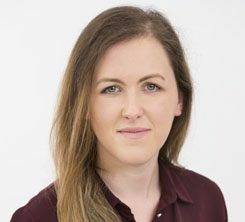 She was the solicitor with conduct of the recently reported case of Murphy v Murphy which provided a decisive win for Brookman’s client and set a new legal precedent in relation to maintenance Orders. 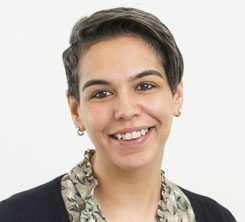 Talitha undertakes all forms of family law work. She has skilfully unravelled complicated financial cases involving assets abroad and advised clients on a significant number of relocation cases, child abduction cases and non–molestation orders. Talitha is known for being a shrewd tactician and has an excellent reputation for success in children matters. Aziz is an Associate Partner at Brookman. He is highly regarded for his expertise on financial matters in divorce and has been recommended by the Legal 500. He has dealt with jurisdictions in every continent and regularly deals with matters with complex international issues. Aziz often undertakes his own advocacy, frequently winning very favourable outcomes for clients at Court hearings. Aziz was described by Jonathan Swift (Chambers of Nicholas Francis QC) as “highly competent and skilful family practitioner who balances realism with pragmatism. Thoughtful and thorough in his assessment and execution of a case”. 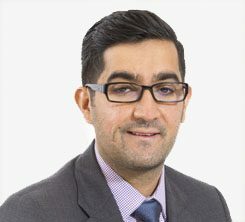 With a reputation for giving exceptionally astute advice and being a highly intelligent tactician, Aziz acts for all types of family law client including high net worth individuals based in England, the Middle East, continental Europe and other parts of the world. He is also a mediator. Sarah has worked in family law for over 10 years with a particular focus on international divorce and family law since 2011. She joined the team at Brookman in 2018. Her area of expertise is in high conflict and international children cases, often in the High Court and when required before the Court of Appeal and the UK Supreme court. She has a wealth of experience that includes national and international child relocation, Hague Convention cases, wardship cases, international child abduction, Brussels II revised cases, forced marriages and stranded spouses. Sarah is a member of Resolution and has previously volunteered advice on the Rights of Women helpline. 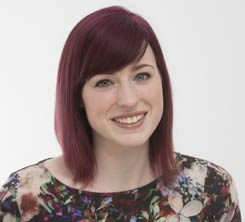 Sarah currently holds a post on the YRes committee. Sarah’s mother is Polish and her father is Moroccan, consequently she speaks fluent Polish and some (Moroccan) Arabic. She understands the nuances of being in a multi-racial family. She provides astute, efficient and sympathetic assistance, allied with invaluable tactical knowledge garnered from her years in practice. Gavin joined Brookman in February 2018. 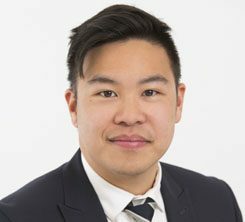 He gained several years’ experience working in family law before qualifying as a solicitor in March 2018 at a large national general practice firm. Gavin has experience of a broad range of family law matters including divorce and financial proceedings and international child abduction proceedings involving Hague Convention countries. Gavin also deals with Children Act proceedings and has worked with QCs in complex Child Care matters involving non-accidental injuries and serious allegations of harm. Gavin is also fluent in Cantonese with a good understanding of written traditional and simplified Chinese. Gavin studied law at University College London and latterly passed his Legal Practice Course with distinction at the College of Law. Outside of his work, Gavin plays piano and is a qualified Badminton England coach. 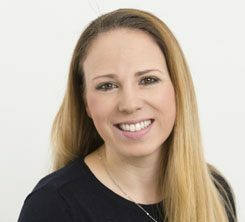 Jennifer joined Brookman in April 2018 following the completion of her training contract at one of the larger general practice firms in London, specialising in property and family law. 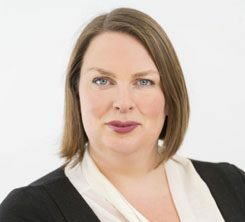 Jennifer has experience in all elements of family law, including high net worth financial proceedings, Children Act proceedings, financial claims with international assets and has successfully defended an appeal of a financial order. Jennifer studied Modern History with Economics at The University of Manchester. She then completed her Graduate Diploma in Law and the Legal Practice Course with Distinction at the University of Law in Guildford. In her spare time, Jennifer was previously a member of the Scottish International Dodgeball team and now enjoys playing badminton and tennis. 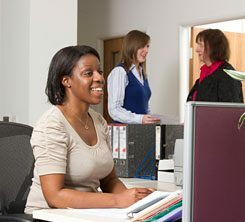 Lorna is our Office Manager who also provides secretarial support to the team. 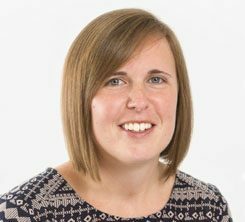 Prior to joining Brookman, Lorna was legal secretary at family law firm Mair Williams Solicitors. Lorna graduated from Aberystwyth University in 2008. A naturally creative person, Lorna’s interests particularly centre around the arts, including theatre, film and music. Lorna is also interested in travel, having recently spent a year in Asia and Australia. Eva is an AAT qualified accounts manager and holds full AAT membership (MAAT). She gained her degree in financial accounting from the University of Economics in Bulgaria. 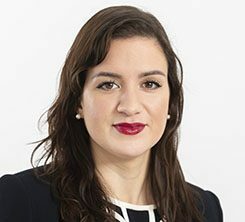 Prior to joining Brookman, Eva held several commercial roles including working at accountancy firms in both Bulgaria and the UK, most recently spending 3 years at a London-based firm. Eva is also a fluent in Bulgarian. Victoria provides secretarial support for the office. In her role as secretary, Victoria provides a range of administrative tasks for Julius. These tasks include preparing legal documents and liaising with various courts, counsels and legal bodies. 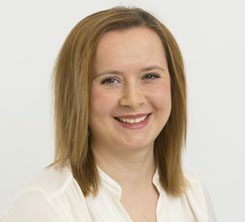 Prior to joining Brookman Solicitors, Victoria worked as a legal secretary in the matrimonial department of a legal firm and also worked as a secretary within the legal team of an insurance PLC. In her spare time Victoria likes to keep active by running, cycling and bowling. Julie provides secretarial support to Aziz Malik. Julie is a very efficient and conscientious person and a very experienced legal secretary. Her primary role is to undertake administrative and support tasks for Aziz. Prior to joining Brookman, Julie had worked for several respected law firms since 1997. During this time, Julie gained secretarial experience in numerous areas of law, including family, corporate, property and tax. Outside of her work, Julie has a love for books, food and wine, the theatre and travel. Michelle provides secretarial support to Henry Brookman. A very experienced family law secretary, Michelle has worked in law for over 12 years. Her role includes organising client meetings, producing legal documentation and liaising with Counsel. Prior to joining Brookman Michelle worked for large legal firms in London and Kent, predominantly in family law but also media law, litigation and employment law. Outside of her work Michelle enjoys the gym and has a passion for music. Patricia is an experienced secretary and office administrator. In her role, Patricia handles the calls that come into the office, greets clients, manages office presentation, housekeeping, and administrative duties and provides secretarial support. Prior to joining Brookman, Patricia worked for a large family law firm as paralegal and secretary. 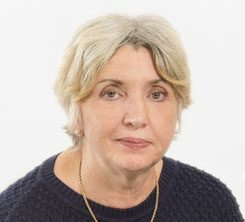 Before undertaking her career in law, Patricia held front of house positions in the private sector as well as the local council supporting case workers and undertaking legal research. Patricia has a degree in law and can also provide translation services for Spanish and Portuguese clients.